Suspected of witchcraft, Gwendolyn MacSween has been condemned to being burned at the stake at the hands of her own clan. Yet rescue comes from a most unlikely source. Mad Alex MacDunn, laird of the mighty rival clan MacDunn, is a man whose past is scarred with tragedy and loss. His last hope lies in capturing the witch of the MacSweens--and using her magic to heal his dying son. He expects to find an old hag....Instead he finds a young woman of unearthly beauty. There's only one problem: Gwendolyn has no power to bewitch or to heal. Now she must pretend to be a sorceress--or herself perish. 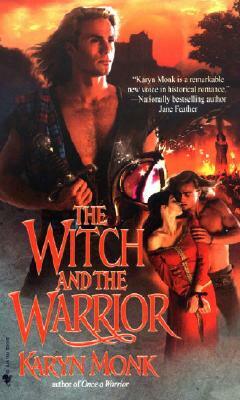 But can she use her common sense to save Alex's son, and her natural powers as a woman to enchant a fierce and handsome Highland warrior--before a dangerous enemy destroys them both?